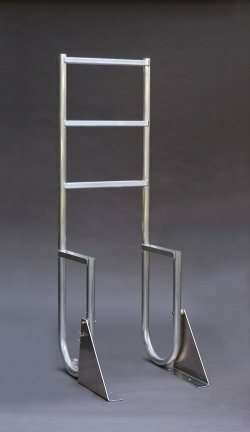 A1A Dock Products 5 Step Wide Step Swinging Dock Ladder, Wide 3.5" Steps, Aluminum. FREE SHIPPING! (Picture shown is 3 Step Model with Standard 2" Steps/Treads). 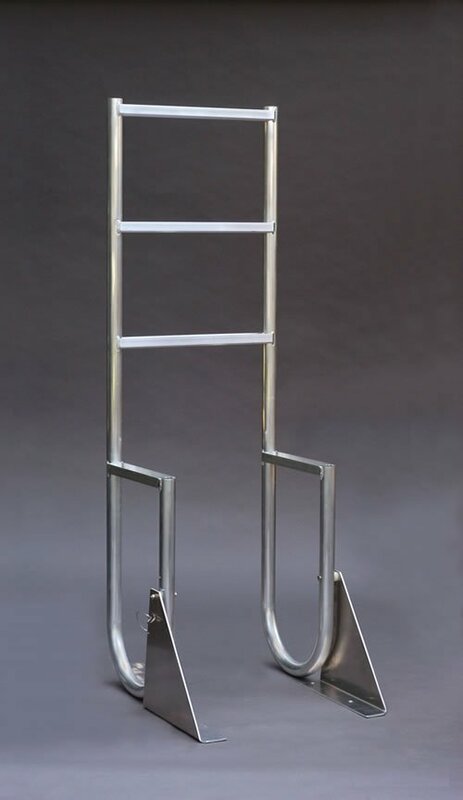 5 Step WIDE STEP Swinging Dock Ladder, Wide 3.5" Step, Aluminum. Wider steps makes climbing in and out of the water more comfortable. Swing ladder allows you to pivot the ladder 180 degrees out of the water. This keeps the entire ladder out of the water and helps prevent marine growth. 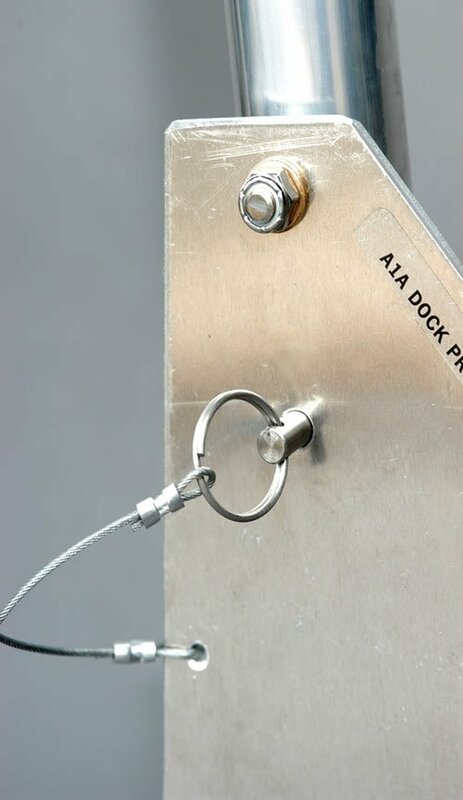 Includes stainless steel locking pin to lock ladder into place when in the upright position. Constructed from 6063 T5 Marine Grade Aluminum. Tig Welded for maximum strength and durability. UPS Shippable 2-piece design. Handles are removable, steps are all-welded and assembled with 2000 lb sheering factor stainless steel bolts. This helps reduce shipping costs. Steps have extruded grooves to reduce slippage. 650 lb Max weight capacity. Requires 4 - 1/2" diameter bolts for mounting to your dock. Mounting bolts are not supplied since installations vary. Can be found at your local hardware store. "Great product being used constantly"
Comments: Love this ladder, especially with the wide steps. Kids and grandkids spent hours jumping off the dock and easily climbing back up for more. Install was straight forward, the locking pin to hold the ladder down or up is a great idea. Excellent fit and finish, looking forward to many years of service. Comments: great product, anyone out there in the New York state area need theirs installed, call me on 607-237-2997. "Solid lightweight very well built no problem with 245 lbs"
New Products, Specials and more! Copyright 2013-2019 DockLadderDepot.com. All Rights Reserved.